What do two reality stars, a pop singer and fashion police host have in common? They're all judges for the upcoming 2012 Miss USA Pageant in Las Vegas. 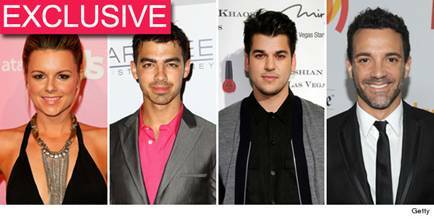 Ali Fedotowsky -- former "Bachelorette"
These four will join five other stars in deciding the fate of one young woman. The winner of the Miss USA pageant goes on to compete in the Miss Universe pageant. The Miss USA pageant airs live June 3, 2012 on NBC.